All our online prices includes all setups, branding, GST and FREE delivery anywhere in Australia. The Eco Zip Top Bag is ideal for use by both students and professional. It is made with the use of an 80gsm non-woven material. The bag has a side pocket, a name-card pouch, and a zipper closure on the top to keep the contents of the bag secure. 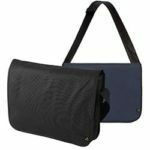 This bag is 400 x 320 x 100mm in size, allowing the user to carry books, files, documents, and other items that they usually carry to office or college. You can use this bag as an appreciation gift for employees, clients, students, customers, and more. 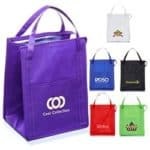 Promotional items like the Eco Zip Top Bag offer an inexpensive way to reach out to a wider customer base. It will not only increase your reach in the target market but will also help increase brand recognition. 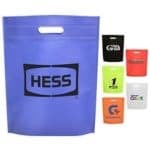 You can use the print space available on the bag to showcase your corporate brand name, logo, motto, quote, slogan or message. The selected promotional content is printed using the screen print method. The price of the bag includes the cost of one colour screen print in one position.